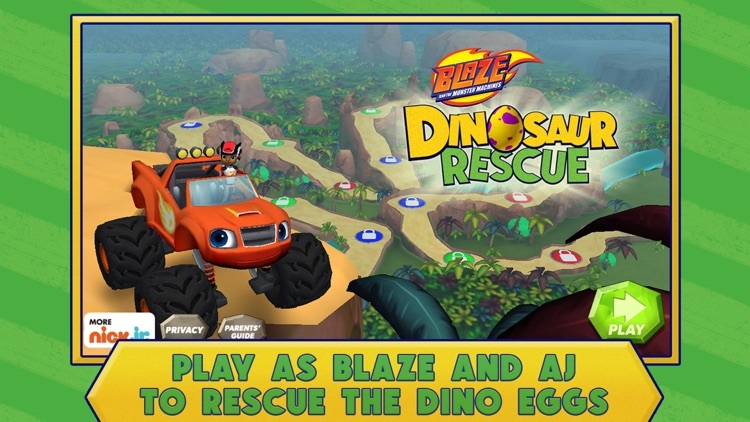 Get ready to rescue baby dinosaurs with Blaze and AJ in Blaze’s Dinosaur Egg Rescue Game! 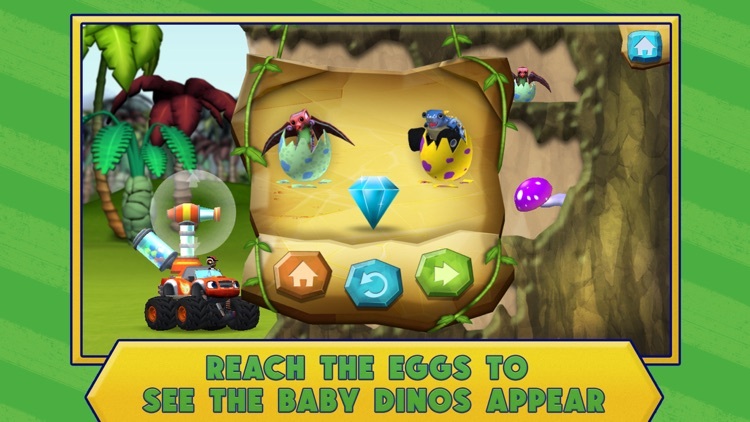 This iPhone app exposes preschoolers to STEM (Science, Technology, Engineering and Math) concepts as they travel through Dino Valley with Blaze and AJ to find lost dinosaur eggs. 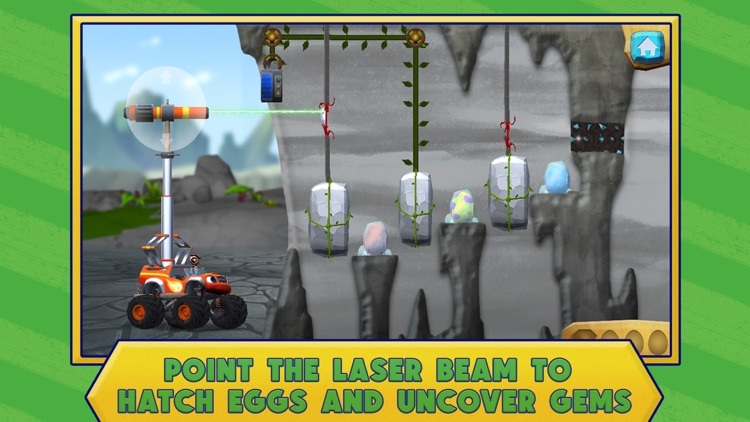 Throughout the adventure, children are encouraged to develop problem-solving strategies and complete physics-based puzzles using water, bouncy balls and lasers to rescue dinosaur eggs from dangerous situations. 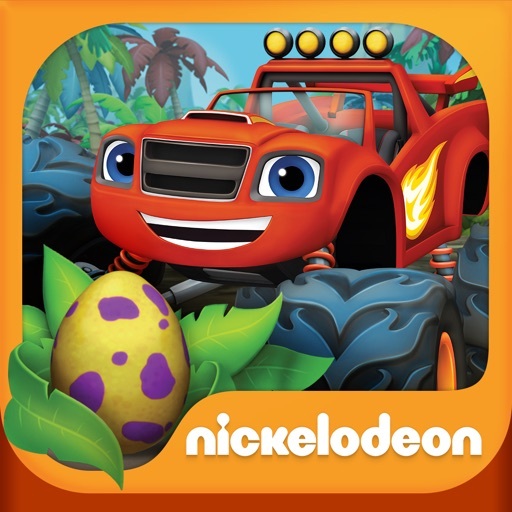 Each location contains between one to three eggs, along with a hidden prehistoric gem! 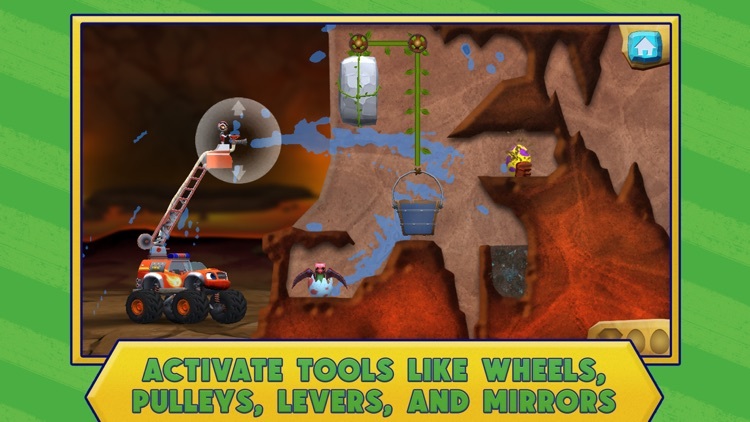 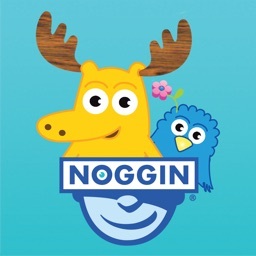 This educational iPhone game for kids fosters a hands-on, experiential approach to STEM learning through critical-thinking challenges that enhance children’s understanding of physics puzzles and how things work. 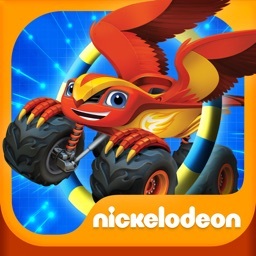 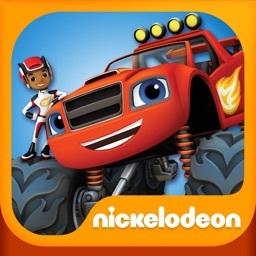 Kids learn with the help of their best friend Blaze - the coolest truck from the popular Nick Jr TV show! 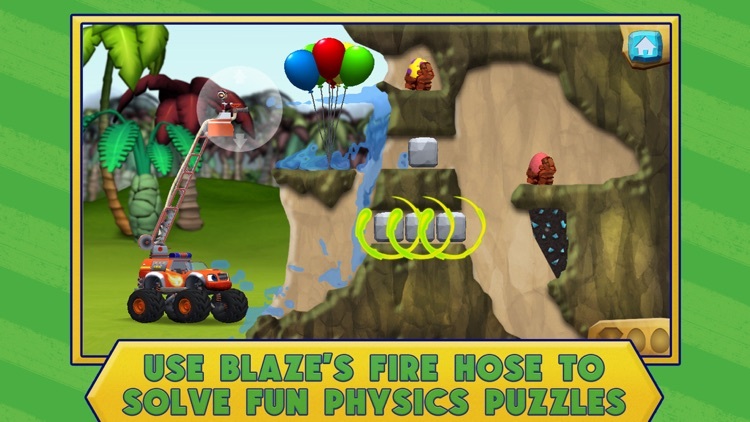 -	3 Blaze transformations – Blaze can shoot water, bouncy balls, or laser beams! 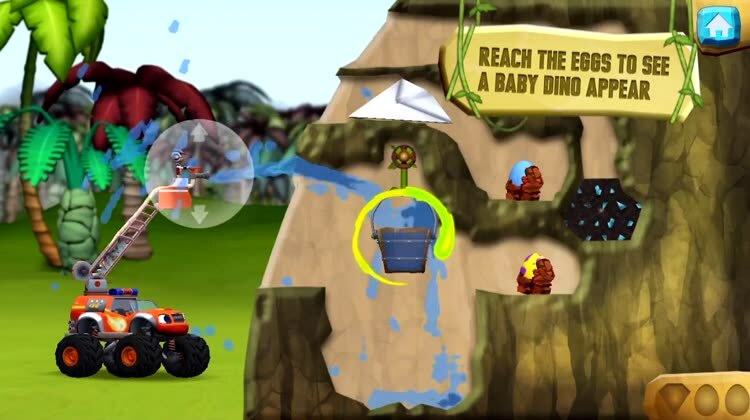 -	Explore three locations in Dino Valley and navigate different types of terrain – the jungle, rocky plateaus and a volcano! -	45 levels – Solve forty-five physics puzzles to locate over 80 dinosaur eggs and a prehistoric gem on every level!